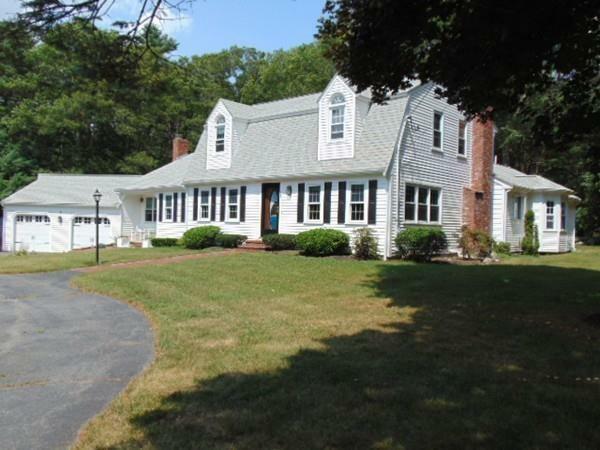 Wonderful Gambrel with a large and nicely equipped first floor addition with its own master bedroom, living area and separate kitchen on the main level. The property is located on a cul-de-sac in a highly desirable location in the Town of Hanover with the backside of the lot bordering conservation land with lots of privacy. That's just for starters. Check out the other features offered by this great property such as an in-ground gunite pool, large stone patio, fenced yard, 2-car attached garage, enclosed porch, hardwood floors, finished basement, main-level office with fireplace, a new high-efficiency, multi-zone furnace, 3 fireplaces, newer windows, moulding and chair railings and many other updates. Meticulously maintained and ready for your move. Definitely worth a look.